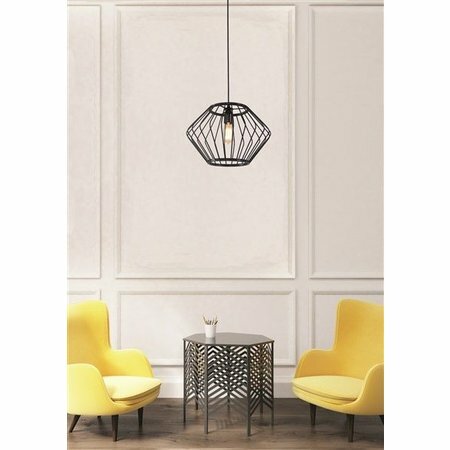 Are you looking for a geometric pendant light to enlighten your interior? 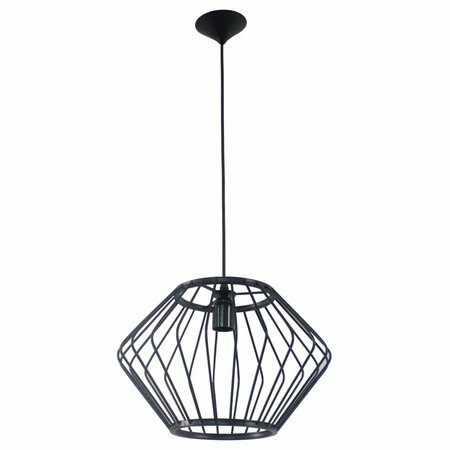 This geometric pendant light black 370mmØ E27 is a gain for each interior and can be ordered at my My Planet LED. We are one of the biggest online LED light shops and we deliver your order as well nationally as internationally. Our customers say we provide an excellent personalized service! 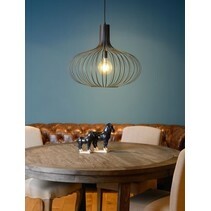 To choose a lamp to your taste which also fits in your budget is not always easy. Often, a nice lamp costs a lot of money and then you quit. However, if you search decently, you find what you're looking for. 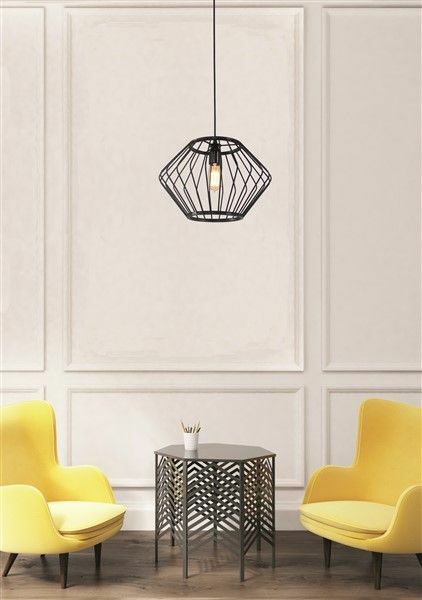 With this geometric pendant light in black, you can buy a cheap lamp in a nice style wich demands a lot of attention. 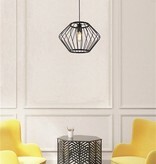 The shape of this geometric lamp is smaller below and upside and becomes larger in the middle (where it measures 370mm). 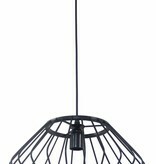 This pendant lamp consists of different bars and the advantage is that they emit a lot of light. So, if you need a lot of light, this can be good. You better use a lamp with a nice shape. 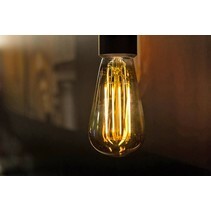 We recommend a long LED filament lamp. In this way, you combine a cheap lamp with a low consumption! 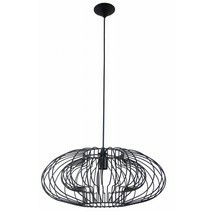 You can buy this geometric pendant light black 370mmØ E27 at My Planet LED. You can choose yourself the payment method. The possibilities are large and you can pay in a secure environment. Do you have more questions? 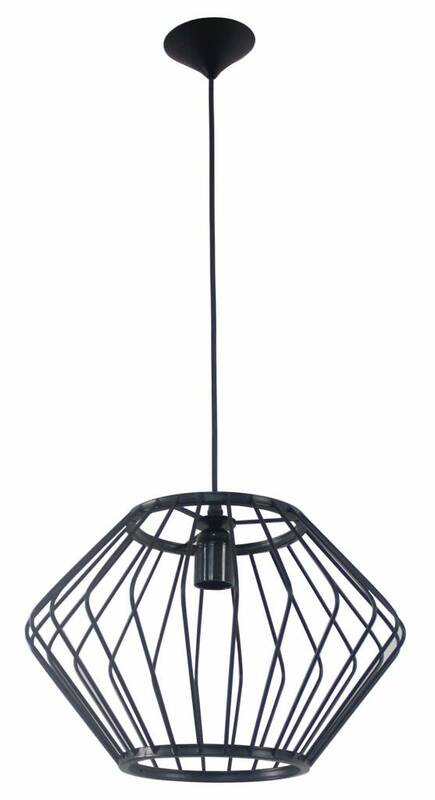 Do not hesitate to mail us (info@myplanetled.com) or contact us by phone (+32) 57 466 866 in order to obtain more information about this geometric pendant light black 370mmØ E27.